Our Motto: "We use what we sell!" Our business is built exclusively for the sale of Garrett Metal Detectors. While there are many brands of detectors in today's market, we have found that with multiple selections, Garrett Detectors fill the needs of today's detectorist whether novice or experienced. Michael Bennett aka Nugget Noggin and Curt Hollifield began a friendship centered on metal detecting back in 2010. Their passion for detecting has allowed them to enjoy the hobby while using and testing several Garrett products along the way. Their friendship continues today in the new partnership of "Battleground Detectors" providing the world's best detectors to those interested in the Sport Of Metal Detecting. Michael Bennett has been collecting rocks and precious gemstones his whole life. When he was just 3 years old he would pick up rocks in the yard and bring them back into the house to show his parents. In his early teenage years he would go on Gold prospecting trips with his Grandfather Jerry. They both were inspired to search for Gold Nuggets after watching the "Gold Fever" TV show on the Outdoor channel. One summer evening Jerry took Michael Gold panning at a local creek. Michael was finding small flakes of gold while his Grandfather was searching the creek with an old radio shack metal detector. Michael was curious about detecting and had always wanted to try it, This was his chance!. He asked Jerry if he could use the metal detector to search the creek banks, and he said yes. Michael walked several feet and got a really good signal with the detector, he dug down and found an piece to an old double barrel shotgun. It wasn't the big gold nugget he was hoping for, but it was enough to get him hooked on the sport of metal detecting. Soon afterwards his Mother purchased him the Garrett ACE 250 at the ripe age of 14. This is where it all began! . Michael would ask his Dad and Grandfather to take turns taking him metal detecting. His Dad would film him digging and Michael started posting the video clips on his "nuggetnoggin" YouTube channel. The name "Nugget Noggin" came about when Michael would ask his grandfather to take him out Gold prospecting, He always had gold nuggets on his mind so Jerry named him Nugget Noggin. Today Nugget Noggin's YouTube channel has generated in the neighborhood of 40 million views and approximately 250,000 subscribers. 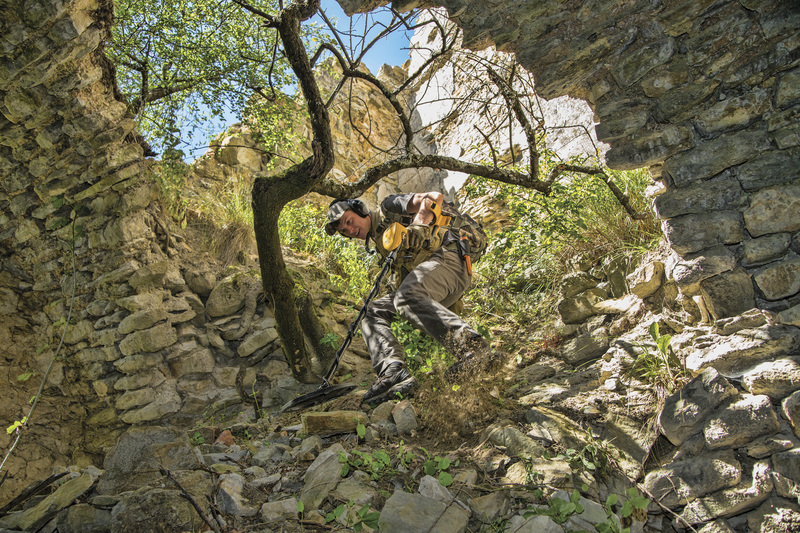 His youthful exuberance and passion for the sport is evident in his detecting adventures. Michael thanks God for giving him the opportunity to go metal detecting, which has allowed him to enjoy more of His Creation. To check out Nugget's videos, please click the link below! Ole Curt isn't much different than most people in the hobby. He enjoys getting outside searching for coins or relics and is satisfied with any success he may experience in finding them. Curt began detecting in 2008 and during his first year of the hobby, he bought a total of 19 different detectors. Curt said he wanted to find the one that worked the best for him. 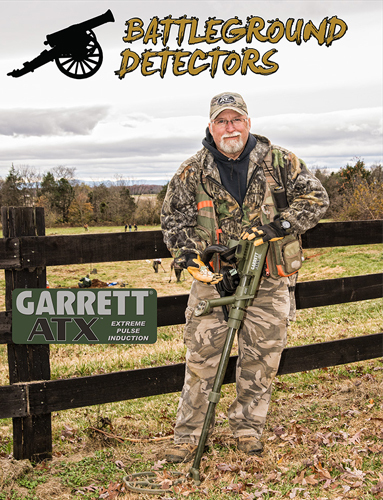 After trying many entry level machines, he chose the Garrett GTI 1500 as his first "real" detector. He later moved to the Garrett GTI 2500 which he says has been one of his favorite coin hunting machines. Later Curt moved on to the Garrett AT Pro and AT Gold and most recently the Ace 400, citing that Garrett's continued dedication to perfecting their products is evident in the finds that are made daily by Garrett owners.